Also, all interested parties that want to attend a series of events that will help them get to know each other, exchange experiences and discuss about potential collaborations and synergies. 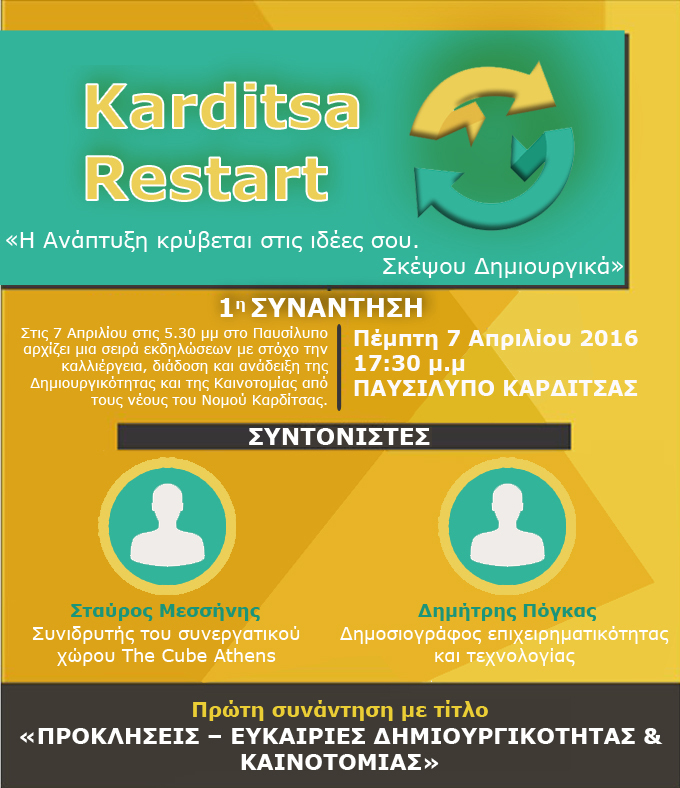 I have been invited to join the first ever karditsa restart meet-up titled “Challenges-Opportunities for Creativity and Innovation”, along with Stavro Messinis, one of the most active stakeholder in the greek startup ecosystem and co-founder of The Cube, Athens’ biggest co-working space. Stavros Messinis will be delivering a keynote on developing innovation and entrepreneurship ecosystems, based on the Boulder, Colorado experience, while I will be delivering a presentation on the history and current state of affairs of the #GRstartupscene. 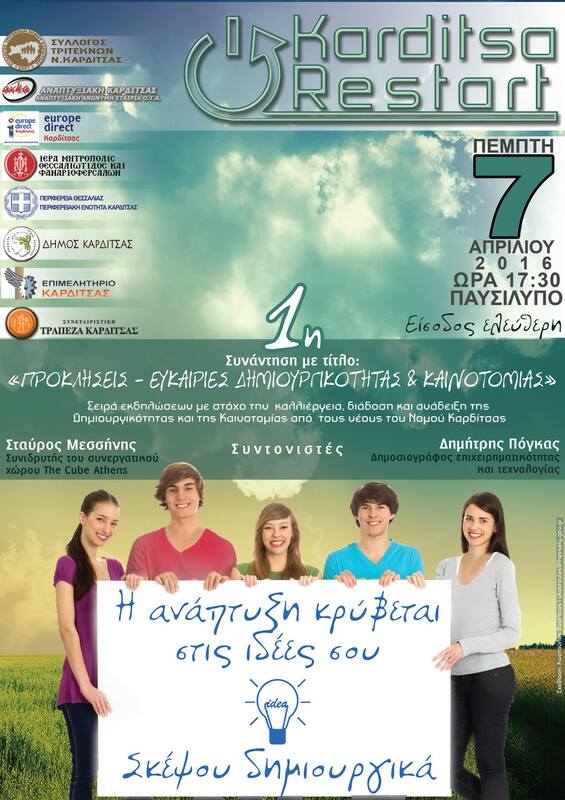 The meet-up is being organised by Europe Direct Karditsa will take place on Thursday, April 7th, at 17:30 at Pafsilipo in Karditsa. Attending is open and free. You can indicate your RSVP on the meet-up Facebook event.